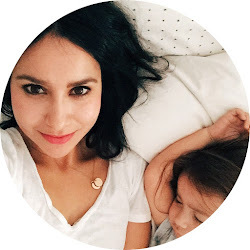 dreams in spanglish: Why I'm okay with not being the world's best mom. When S was born, I remember looking into her eyes, and right away, I wanted to give her the world. Okay, actually, that's not entirely true. Back up. After twelve hours of labor, I was so exhausted, and my brain was so fuzzy that I think I was half-asleep when she finally came out. I have the distinct memory of looking over at her under the warm lights, being tended by the nurses and seeing my husband watching over her. I remember thinking, "Oh. Good. I'm glad there are other people in the room to pay attention to her." But then, we had somehow hazily made it through the rest of the night, and the sun came up. After getting a bit of sleep, and some chocolate chip cookies in me (yup, that's the first thing I ate after giving birth) THEN, then I looked into her eyes, and thought, "I am going to be the very best mama to you ever." And for a good little stretch, I think I did pretty okay. I nursed her and watched her chunk up, even though every time she latched those first few weeks, I winced in pain thinking, "Is it time to eat again? Oh gosh, I'm not ready." I took her on walks so she could soak the world up, I changed her clothes every time she spit up, and I sang to her during every one of her nightly baths. Then a few months later, I found out I was expecting...again. As soon as I found out, I cried. I had just put S down for a nap, and I knew I just wanted to scoop her out of her crib and hold her. I felt like I was letting her down because I felt like I was robbing her of my 100%. But, somehow, I was able to work through the grey early fog that came with baby number two, and tried my best. Fast forward a couple years. S was 2 almost 3 and J was 1 almost 2. I will forever look back fondly on that year. It was such a special time because I felt like we were the Three Musketeers. We were always out of the house by 10am to do our thing for the day. Some days we'd go to the little beach by our house, or we'd go to the bookstore and play and get a cookie afterwards. Other days we'd go to the pet store or take their scooters to the park. Life wasn't perfect, but it was pretty darn rosy. Things were rosy, but I was also getting tired. I was tired of trying to make things perfect for them all the time. But, see, I was able to deal with it. I pressed forward. The guilt weighed so heavily on me. Getting in and out of the car was so painful that most days we barely left the house. Some days, we'd go to the museum, and I would find a bench or an empty spot against the wall, and just plop myself down to watch my kids play. I'd try to put on a smile as they would excitedly show me and tell me things, but it broke my heart when I'd have to say, "I'm sorry baby, I can't run over there with you. I'll watch from here." It was around this time that I also realized that I wasn't doing enough to take care of myself. Things that I used to love to do, like write and read, were put on the back burner. And then the back burner was flown across the world and dumped into a hole. It finally clicked that I couldn't be "on" all the time. There was no such thing as a switch that turned on in the morning when I woke up, and off when I went to sleep. I simply couldn't survive that way. So, what was my answer? It was simple. As much as I wanted to be the world's best mother, or at least the world's best mother to MY kids, I couldn't do it. At least, not in the way I originally thought. The mom who makes a hot breakfast every morning, kept a tidy house (while being on top of the laundry), the mom who didn't have time for herself, but made every day a little more beautiful than the last for her children is just not in me. Because sometimes I do get frustrated and say things to my kids I immediately regret. Because some days I just count the seconds till it's time for them to go to bed so I can finally relax. Because sometimes I shut my bedroom door and beg the kids to please just give me some space. Because sometimes (a lot of times) I rush too much. Because sometimes I just really don't want to play another game of Uno. I let that nonexistent perfect mother go, and I'm learning (yes, still) to love and accept the imperfect mom that I am. Because a little part of me is happy when one of the kids comes into our bed at night, even though it means I'm left with just a sliver of space. Because every time I make waffles, I really try to put some extra love in them because I know they're my Pato's favorites. If love could be bottled and put into salt and pepper shakers, I'd sprinkle it all over the place. Because at least once a day, I try to look hard into their eyes, hoping they can *really* feel that I value them, that I hear them, that I see them. Because my kids go to bed with their cheeks thoroughly covered in invisible kisses. Because if there is one thing I can do, it's love them. One thing that I know that I'm capable of doing so near perfectly it's loving my kids. And most of all, I've learned to accept myself and my imperfections because somehow, my kids have accepted them, too. And they love me anyway. Wishing the whole world would read this! Because one, chocolate chip cookies. Two, your heart is so so spot on! TeChing me to do the same for myself + my kids! Thanks for opening up. I sure think the world of you! Great post. It's exhausting trying to be the perfect mother but I think to our babies we are. You sound like a wonderful mother! i had that same tear-soaked conversation with my own mom yesterday. that line about the switch, on first thing in the morning and only off when they're in bed, is so true. thank you. This. I literally teared up reading this. So so true. Love reading posts like this! A night on the town with my best girl.